Pozdravljeni dragi prijatelji. Na vrsti je nov izziv pri Colour Crazy, ki ga sponzorira Lemon Shortbread. Njihovo prikupno sličico sem postavila pod zvezdnato nebo. Upam, da vam bo všeč. Lepo vabljeni, da se nam pridružite in si z malo sreče prislužite nagrado. Bližnji posnetek Lemon Shortbread sličice. - Creative fingers:# 154 ATG , 8.11. - Just keep on creating: Nov. challenge, 1.12. Bi se kar udeležila te zimske zabave, bi bilo bolje kot pa ta dež na dež zunaj. Čudovita zimska voščilnica. Love your fabby looking card. It looks smasing! Thank you for taking the time to join us over at the Winter Wonderland challenges this time. Adorable image and fabulous colouring.. 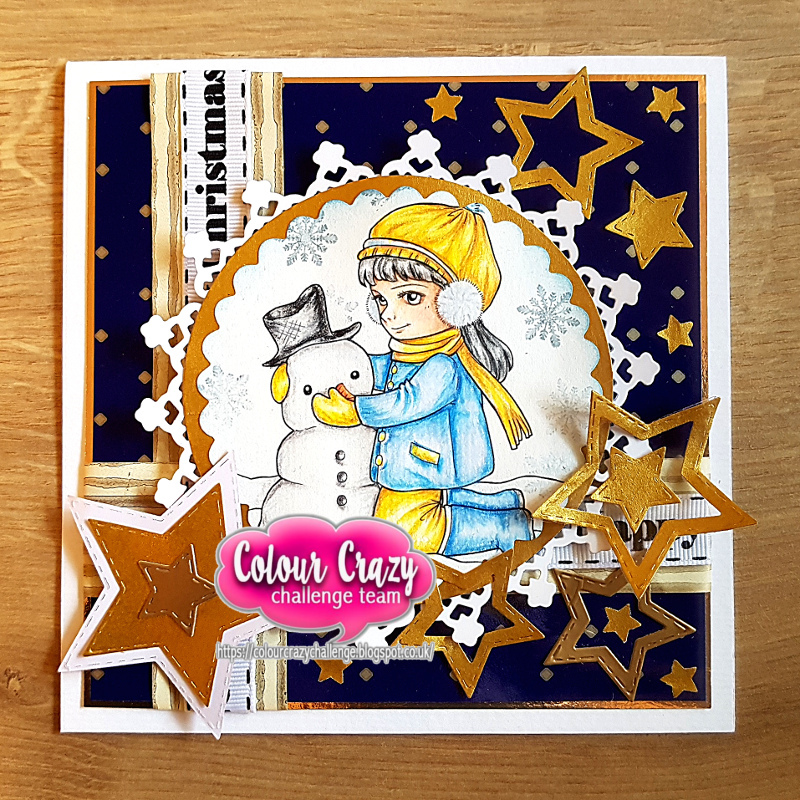 Thank you so much for sharing your project with us at Winter Wonderland..
November 2018 Anything goes link-up at Just Keep On Creating. A lovely card. Thank you for sharing it with us at QKR Stampede. This is such a marvelous winter card, Marjeta! Lovely image and fab coloring. Now, I have to put on my DT hat - Thanks so much for joining in our challenge at QKR Stampede this week.